Water temperatures may be in the 40’s but that hasn’t slowed the rockfish bite. 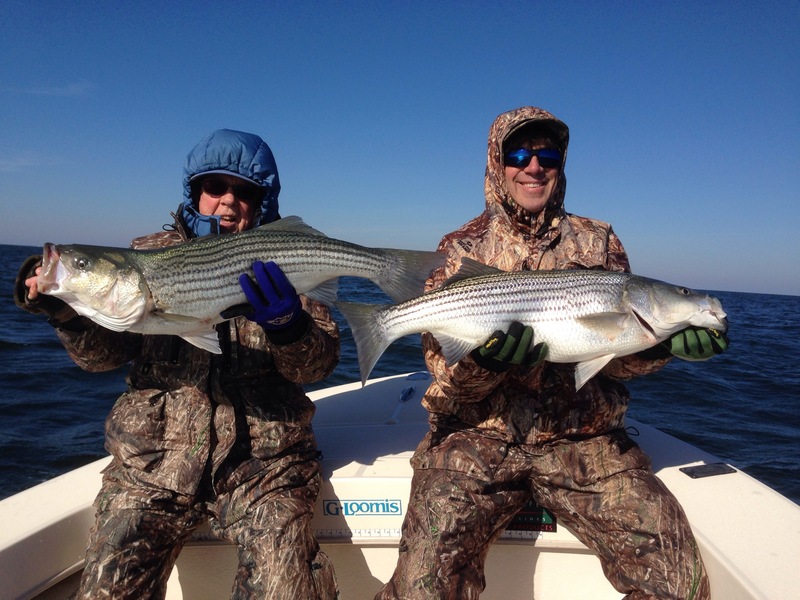 Stripers have been feeding heavily on peanut bunker and larger menhaden south and west of Crisfield, Maryland. Hogy soft baits or Li’l Bunker jigging spoons have been the lures of choice. Look for diving gulls, gannets and pelicans to locate schools of rockfish running 18 to over 30-inches. Best areas are the channel edges of Tangier Sound and the main bay. I have a walk on spot open for one angler on Friday, December 5th. Please contact me for details at kjosenhans@aol.com or 443-783-3271.